Nimble is making it easier for you to gain insights into new contacts with the new Nimble add-in for Outlook on Android. The add-in can help you prepare for meetings and engage with customers more effectively right in your Outlook inbox, helping you make more meaningful connections. Our new Nimble Smart Contacts add-in for Outlook on Android makes it easy for users to benefit from Nimble’s full and detailed view of any contact’s social business insights for people and companies, right next to your inbox. Starting today, the new Nimble add-in for Outlook on Android is available to all Microsoft Office 365 commercial customers and Outlook.com users. This Outlook mobile add-in compliments the existing Nimble add-ins for Outlook on the web, iOS, Mac and Windows. “We’re all over-connected and over-communicated by too many email messages,” said Jon Ferrara, CEO of Nimble. 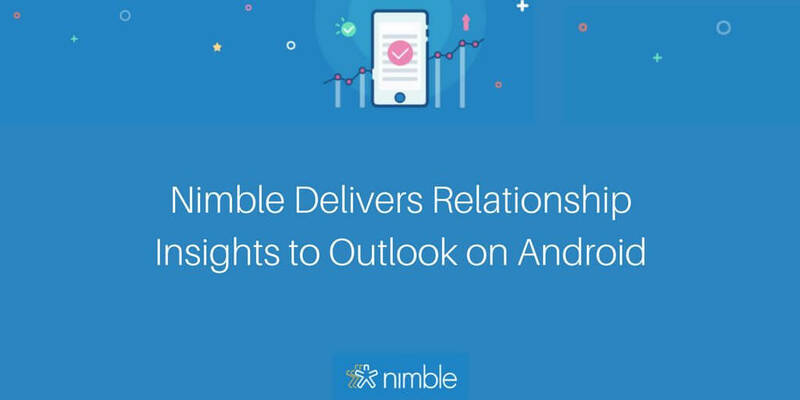 “By putting Nimble’s powerful social contact insights right into Outlook, we will help millions of business users to no longer flying blind with relationships and engagement. 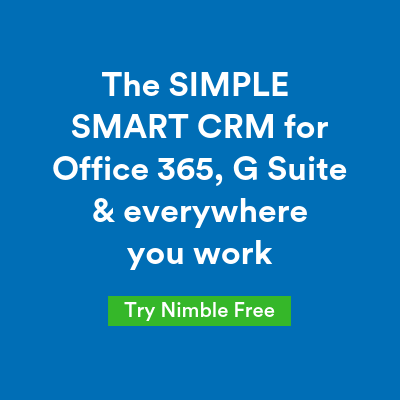 How does the Nimble add-in work with Outlook Mobile? The Nimble add-in for Outlook on Android enables you to get comprehensive profiles of contacts in or outside of your social networks to inform your engagement and help you grow your relationships in an authentic and meaningful way. Nimble is constantly improving the workflow of your sales force with a focus on fostering genuine human engagement with prospects and customers. Nimble surfaces contacts’ social streams and digital footprint to help business people build deep relationships and create an airtight system where important opportunities for engagement don’t fall through the cracks. Joseph Kelly is the Product Marketing Manager at Nimble. He has been with Nimble since 2012 and he has spent much of his time empowering the Nimble community via support, listening to feedback and through education. In his spare time, he enjoys following Angels Baseball, exploring Los Angeles, hiking, and traveling to see live music. Previous What Are You Chasing In Your Business?